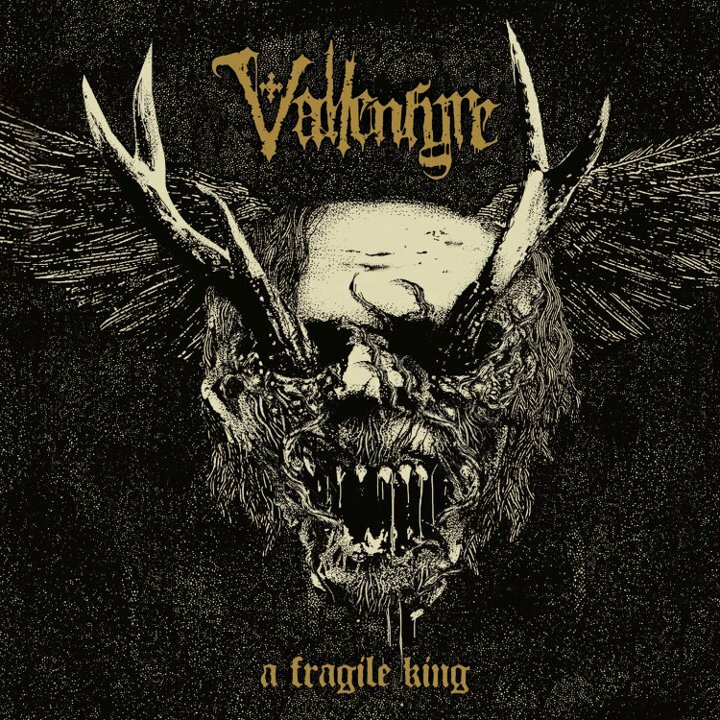 It doesn’t happen very often, and it’s therefore worth being signaled; the sticker on the cover of A Fragile King, Vallenfyre’s debut, says it all: “A Rotten mix of Autopsy, Celtic Frost, early Entombed And Paradise Lost”. Vallenfyre is Gregor Mackintosh’s (Paradise Lost) side-project. And it’s a very personal one. In fact he started composing very dark and violent Death Metal songs when he father passed away last year. These songs weren’t meant for a release, they were just a catharsis for his very deep pain. But he eventually created Vallenfyre, finalized the songs and recorded them alongside Adrian Erlandsson (ex-Cradle Of Filth, At The Gates, The Haunted, Paradise lost and a dozen other bands) and Hamish Glencross. And the clear danger in that case was for the songs to sound “fake”. 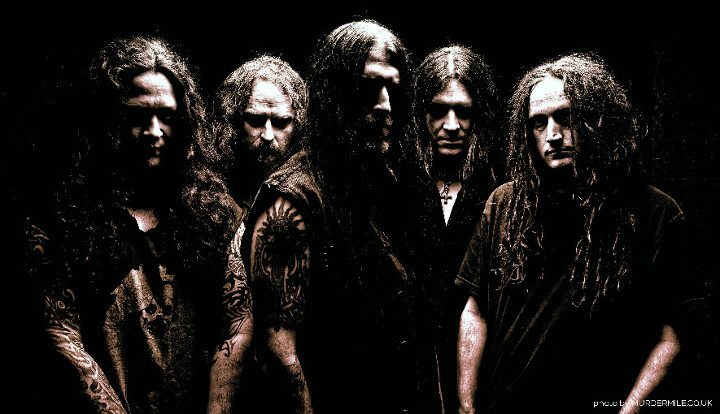 We all know that Paradise Lost has quit being an "all-extreme" metal band years ago, and it was surprising to see Gregor coming back with something that raw and old-school. But all your doubts will be swept away as you’ll press play. A Fragile King is a fantastic old school Death Metal record, just as the sticker says, with doomy elements that will indeed remind you of Autopsy and early Paradise Lost. Gregor himself produced the album, and it he gave it that filthy fuzz on the guitars that makes it sound so organic and raw. It’s even better if you purchase the vinyl, believe me. A Fragile King grooves from A to Z, with awesome riffs and bombastic drumming by Erlandsson. Each song has it’s own dynamics and it’s own highlight. Now that's a true Death Metal artwork! Just like on every good record, everyone will have his favorite songs on the album. I personally prefer side two (songs 7 to 11), even though side one has it's moments as well (“Desecration” has this really sick melody). Some songs will immediatly remind you of Paradise Lost, like “The Grim Irony” or “Seeds” as they carry some very emotional melodies. Some other songs are just pure rockers that will make you helplessly bang your head, like “My Black Siberia” or the very much Bloodbath-like “The Divine Have Fled” and "As The World Collapses". And of course you’ll find some fast suckers that will blow your mind like “Humanity Wept” and “Ravaneous Whore”. There’s not much more to say really; A Fragile King is a terrific exercise in style performed by talented and experienced musicians. The surprise is that Gregor reveals so much of his deepest feelings (the lyrics are very powerful as well) making A Fragile King a genuine highlight this year. And guess what, this album is a such a success that the band has already confirmed some live shows! To make a long story short: if you like old-school Death Metal, then you HAVE to get a copy of this album.